The work presented here, was performed in the metabonomics group of Roche mainly during the year 2004. This tutorial wouldn't have been possible without the help and contributions of the members of the metabonomics group at Roche, especially, Hans Senn, Alfred Roß and Götz Schlotterbeck. In addition, the Consortium of Metabonomics (COMET) is acknowledged, which laid the basis for metabonomics in drug discovery and development. 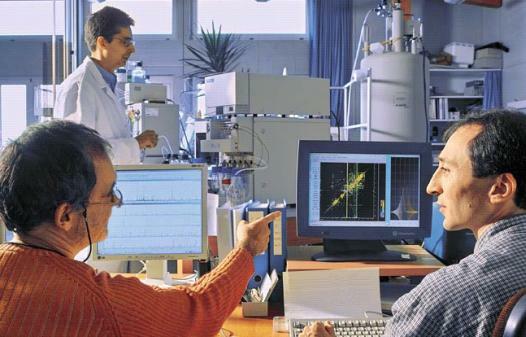 Image of the bioanalytics NMR laboratory at Roche in Basel, where all metabonomics samples were measured. Scientists, who contributed to the metabonomics studies shown in this tutorial are listed on the right side.